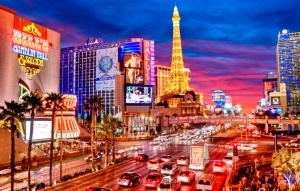 Las Vegas is known for entertainment, high end casinos, fine dining, shopping and great nightlife. No wonder most people come to the so-called Sin City for their entertainment needs. Not only that, you can find natural attractions such as Red Rock Canyon or visit Hoover Dam. It is because of this that many choose Vegas as the perfect destination for a family reunion. Planning a family reunion could be stressful since you will have different personalities and varying interests among your group, but Vegas is great because it can offer something for everyone. When planning a large group trip such as a family reunion in Vegas, be sure to deal with all the issues such as accommodations, activities, and meals in advance will ensure you have an enjoyable time. Here are tips to help you plan an unforgettable reunion in Las Vegas. Not everyone will be available at the same time. Some will have to make adjustments to their schedules such as asking for leave from work. Make sure you set a date that you all agree on and which everyone can commit to. If you have a large family, it can be hectic trying to coordinate all the activities. To ease the work, subdivide the families into committees. One family could deal with the issue of accommodation, another one on activities, another one in making reservations and the other on transport matters. This will make it easy to organize the family reunion since there will be someone responsible for each part. What will you do during the family reunion? Do you have children and can’t attend adult entertainment? Think of the activities you can take part in and that will involve everyone. You can choose to visit sites such as the Red Rock Canyon, Hoover Dam, Mandalay Bay, and Springs Preserve. You may try out the Pole Position Raceway for racetrack activities or to the Shark Reef. How much are you willing to spend on the family reunion? How will you share the costs? The amount you have will determine the type of accommodation you will get, the activities you will take part in and the cost of the meals. Where will you stay? While Las Vegas is known for adult entertainment, you can still find affordable hotels and resorts that can accommodate your family such as Orleans Hotel, Circus Circus or in Lake Las Vegas resort area. You could also consider the Red Rock Resort and Green Valley Ranch, which are full-service resorts near the Strip. Make sure you book the accommodation early to enjoy discounts and avoid disappointments. You definitely want to have fun during your family reunion and there is no better way to do this than to visit various destinations in Las Vegas. Will you be going to entertainment spots, restaurants, to Red Rock Canyon, the Mirage or to your hotel? You will need a reliable means of transport. The good news is that you can hire Charter Bus Las Vegas to cater for your transport needs as you focus on having fun. Whether you will be hiring it for a day or a prolonged period, the buses are well-maintained to ensure safety and have well-trained and vetted drivers. Besides, these bus rentals feature spacious legroom, LED TV monitors, high-speed Wi-Fi, reclining seats and high-end audio system.